By definition, a non-fungible good is one that cannot be exchanged or interchanged for another unit of the same kind or of equal value. The average retail price of a pair of sneakers is around 60 USD. Now suppose a brand releases one pair of these sneakers with a new unique color scheme. Due to this particular pair’s rare traits and scarce supply, it cannot be exchanged for a counterpart of the same type and value — a concept known as non-fungibility. The pair cannot be exchanged for anything identical. There was only one pair designed in that unique color scheme, and it was this one — there are no other sneakers like it, this is the only one. Non-fungible items include antique goods, comic books, physical coins, classic cars, trading cards, wines and jewels. The most common fungible item that exists today is fiat cash — bills are completely exchangeable. Furthermore, most cryptocurrencies such as Bitcoin, Ethereum, and Ripple are also highly fungible due to their interchangeability. 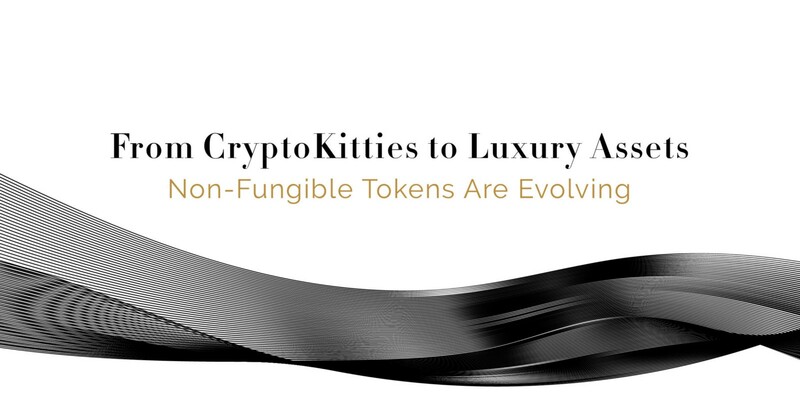 Recently, there has been a growing trend of non-fungible digital assets traded on the blockchain, which was pioneered by a very peculiar project — CryptoKitties. CryptoKitties is a game developed on the Ethereum platform where users can buy, sell, breed, and trade unique digital cats, each with its own unique features that distinguish it from any other cat in the game. This game became possible with the development of the ERC-721 protocol, which enabled the creation of non-fungible assets on the blockchain through Non-Fungible Tokens (NFTs). Since NFTs are on the Ethereum blockchain, they can be used on any exchange; however, their value is directly correlated with how unique, rare, and scarce each token is. Surprisingly, CryptoKitties took the crypto world by storm, clogging up the Ethereum network, with the rarest cats selling for as much as 200 ETH. The technology behind CryptoKitties, the ERC-721 Protocol, has pioneered the way for digital assets to be internationally traded on a decentralized blockchain, without the involvement of any intermediaries. It just so happened that the first application was in the form of a cat-based video game. We found the ERC-721 standard to be perfectly compatible with our vision for the Arianee certificate because of the similarities between the two. The Arianee certificate will build indisputable trust between owners and third parties as it is backed by a decentralized, transparent, and unalterable blockchain that makes it impossible to falsify and easy for anyone to verify. Because each Arianee certificate is unique, this adds a new layer of non-fungibility to the asset that it represents. Ideally, the certificate will have information regarding where a product was created, where its materials and parts originated from, who created it and who has had ownership of it in the past as well as in the present. As an asset’s journey continues, ownership will inevitably become transferred and as a result, their certificates will become more unique over time. Relating back to CryptoKitties, each digital cat was valued based on its rarity. While some people laughed at this application, our team marveled at its underlying technology. Our team at Arianee is utilizing the ERC-721 protocol to produce a highly applicable use case for NFTs within our network. Owners and brands alike will be able to emit new certificates and users will be able to transfer and prove ownership of their physical assets through Arianee certificates, which will be represented as NFTs. Since this certificate is a digital representation of a physical asset, a new form of “digital scarcity” is established, which directly contributes to the non-fungibility of the physical asset. We are paving the way for a tokenized future where all types of physical assets are represented on the blockchain and NFTs are utilized for their practical utility. When the ERC-721 Standard was initially developed and implemented, people wondered what kind of use cases and industries it might apply to. We believe that we have identified a highly applicable use case for NFTs and are taking action by implementing them within our network, one of the many features about Arianee that distinguishes us from the competition. Arianee is the first perpetual, anonymous and trusted record of all global assets, enabling a revolutionary link between owners and brands.